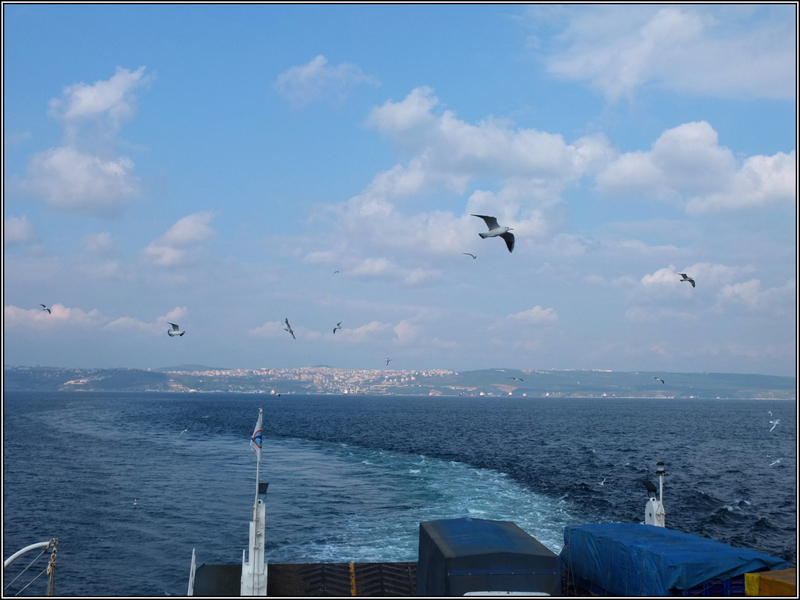 We just crossed the Sea of Marmara from Istanbul to Yalova. It was a beautiful sunny day. The only Turkish tea (çay)in the boat was served in paper cups for safety reasons. But the advertisement continues on the traditional tulip cup. 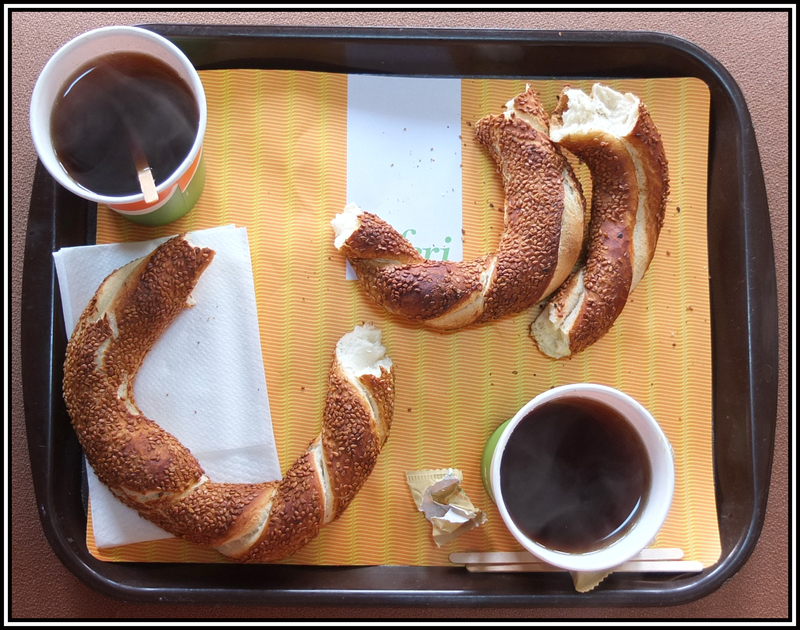 In the morning it is traditional to have the Turkish tea with simit, a crisp twisted ring bread covered with sesame seeds. The simit can be broken in pieces and eaten with the tea. 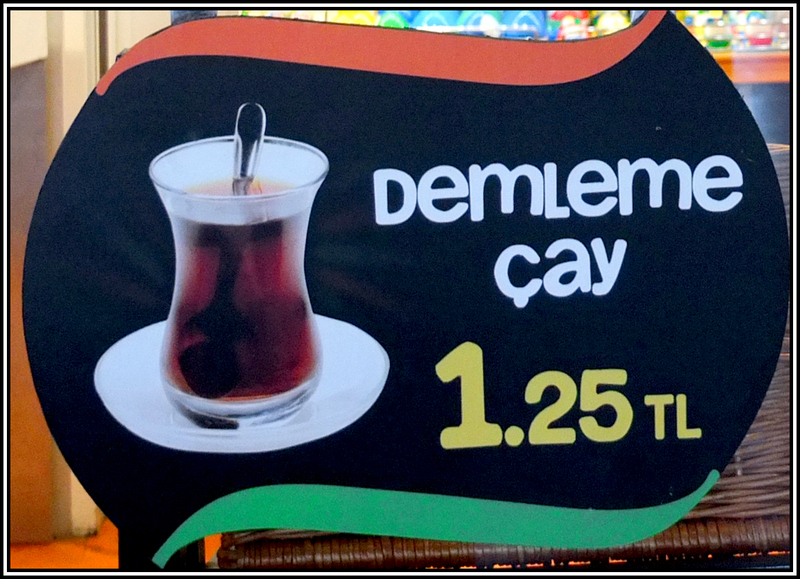 This entry was posted in Turkish Black Tea and tagged çay, Istanbul tea, Turkish black Tea, Turkish tea. Bookmark the permalink. I can feel the warm wind coming over the water! Clanmother, very well stated. 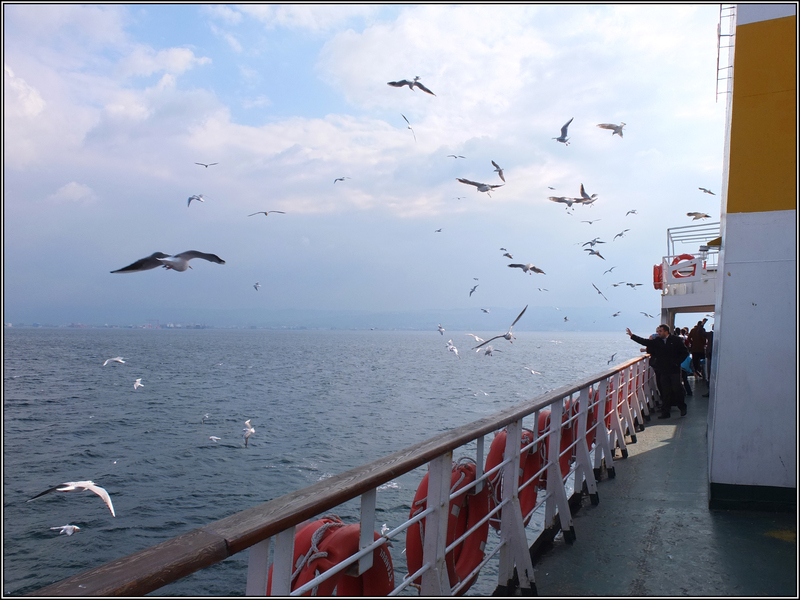 The boat trips on Turkey are always fascinating, particularly on the Autumn season. Adorei as fotos da Turqui, do café da manhã. Seu blog está lindo. Parabéns. Muito obrigado pelos comentarios do blog, eles sao muito motivadores. Volte sempre, a vaigem pelo mundo dos chas continuara.